NIBIO’s head office is situated at Ås in Akershus county, half an hour by train from Oslo. On this page you will find a map showing an overview of the various buildings and their locations, as well as links to sites with more information on each. Besides offices, laboratories and other specialised premises, there are several field trials, stores and greenhouses at NIBIO Ås. 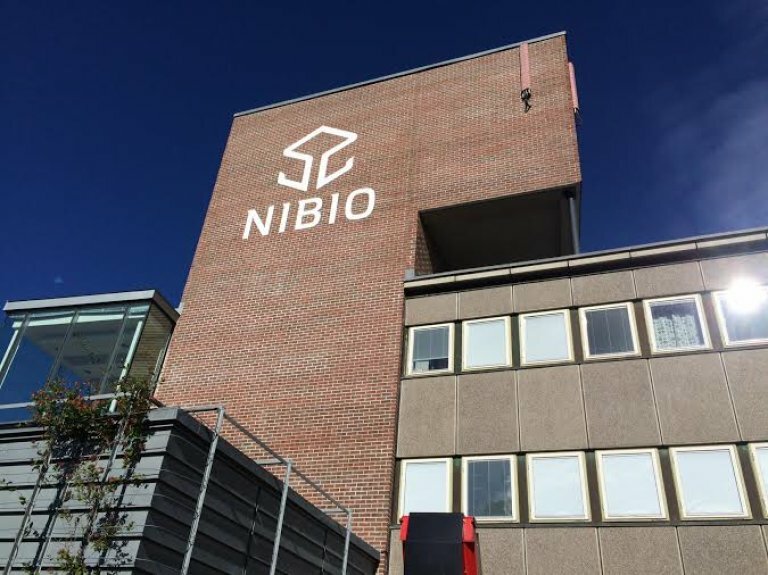 NIBIO and the Norwegian University of Life Sciences (NMBU) cooperate in the common use and renting of various premises and facilities on Campus Ås. Høgskoleveien 7 (formerly also known as Fellesbygget) was erected in 1958, and has later been totally renovated in two stages, in 2004 and 2009. Odd Tandberg’ s large artistic decoration of the main stairway in the east wing, Østfløyen, remains from 1958. Other artistic decorations were made at the time of the renovations. The building houses a combination of offices and laboratories, in well-lit and modern surroundings. The laboratories fulfil safety requirements and have, amongst other things, a draught-free aeration system. Several of the floors have cold stores, freezer rooms and rooms for tissue culture and growth. There are also teaching and an auditorium in the building, in which the teaching of plant protection subjects at NMBU is conducted. The building houses today NIBIO’s leadership, the major part of the activities of the Division of Biotechnology and Plant Health as well as a section belonging to the Division of Environment and Natural Resources. Høgskoleveien 8 comprises three buildings. The main building was erected in 1954, and is a combined laboratory and office building. It was later supplemented with the north building (Nordbygget), a free-standing building with laboratory, workshop and offices, and with the east block (Østblokka). As well as laboratories, workshops, offices and meeting rooms H8 has a library and a canteen. The buildings in H8 today house most of the Division of Forest and Forest Resources as well as parts of the Division of Biotechnology and Plant Health and the Division of Environment and Natural Resources. 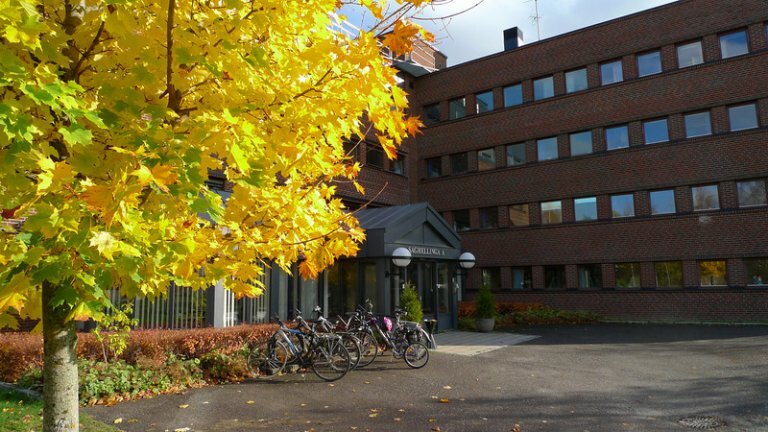 Raveien 9 is located in the centre of Ås, where 80 NIBIO employees have their offices. Most of these belong to the Division of Geograhy and Statistics, whilst the remainder are divided between the Division of Food Production and Society and the Division of Corporate Management. Some offices are also sublet to external bodies. It is primarily the Division of Geography and Statistics’ activities in the area of resource mapping and geomatics that are represented in R9. Their responsibilities include the running of the infrastructure for the institute’s geodata and information services, as well as establishing and maintaining the land resource maps (AR5), soil survey, vegetation mapping and landscape monitoring. In addition, they shall safeguard and represent the interests of agriculture in the national cooperation schemes for geodata: Norge digitalt, Geovekst and Norge i bilder. This also includes providing competency support in the management connected with geodata and land areal information. 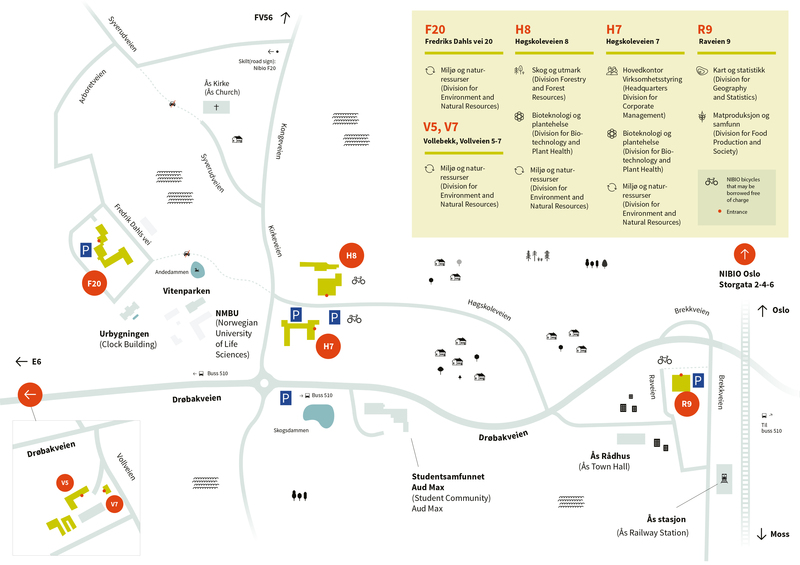 Finally, the Norwegian gene resource Centre is also located at R9. The Division of Food Production and Society is represented with most of its divisional staff as well as some researchers. The Division’s main task is to contribute with new knowledge on profitable and safe food production, the production of communal benefits as well as innovation and the creation of wealth throughout the country. Such new knowledge should be of value to farmers, companies related to the food production chain as well as to decision-makers in politics, government and society at large. Frederik A Dahlsvei (formerly called Jordforskbygningen), is owned by Stiftelsen jord- og myrundersøkelser, and houses the major part of the Division of Environment and Natural Resources. It also contains laboratories for soil, water, wastes and filter materials of various scales. Soil physical laboratory can offer analytical services for a number of hydrological and other physical properties of soil. The research station possesses laboratories and equipment for characterising organic material, analyses of carbon and climate gases in soil. We also have laboratory facilities for studies of ecotoxicological effects at several trophic levels in soil, of chemicals potentially harmful to health and the environment, including nanoparticles. Much of the research is otherwise conducted in the field, in monitoring schemes, and in polluted sites, and in other affected or non-affected terrestrial localities. A group for technical measurements specialises in environmental and ground water monitoring, facilitating measurement processes with respect to choice of sensors and loggers, and enabling the automatic or manual collection of data. The group offers services in water flow measurement using modern sensor technology, water quality sensors for use in the field, data logging and data presentation with web-based solutions. The group has long experience in the establishment and running of measurement stations and can tailor solutions to individual requirements. 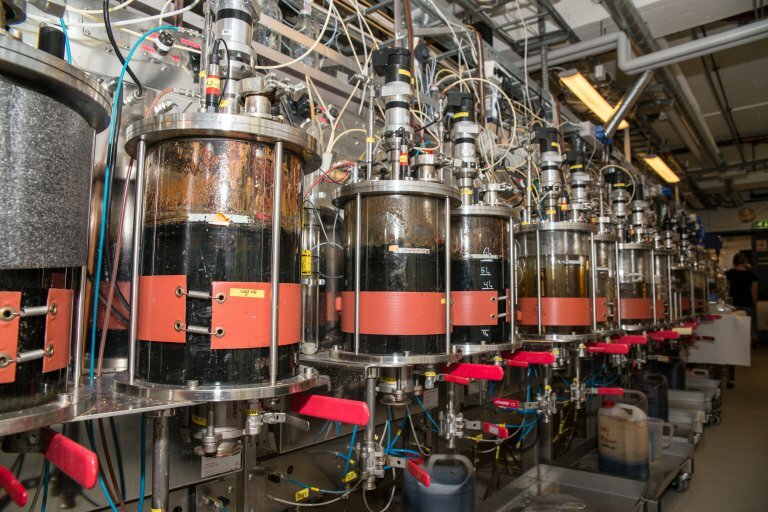 In cooperation with NMBU, NIBIO runs a leading national biogas laboratory at Vollebekk, with facilities for trying out the gas production potential of various waste material fractions and mixtures, and research into the optimization of pretreatment methods and process parameters. 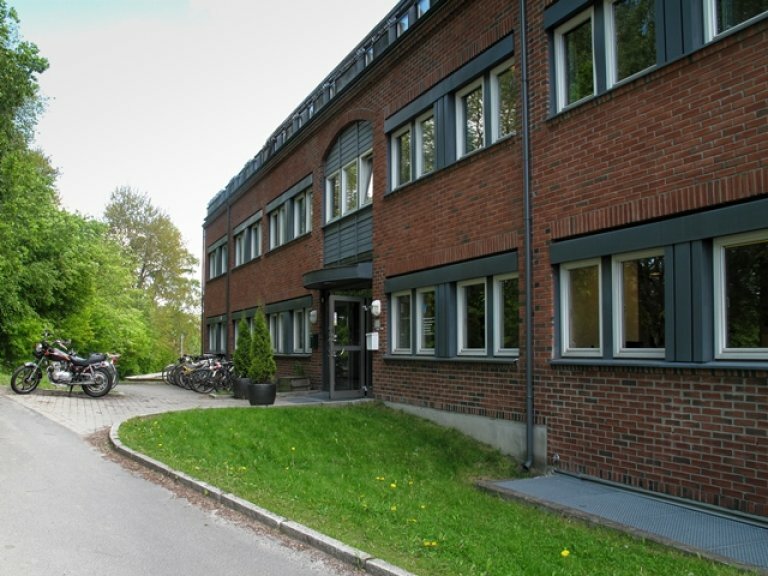 The biogas laboratory is closely integrated within many of the research activities on Campus Ås, for example in relation to fertilization and soil quality, environment and climate, bioenergy, molecular biology, microbiology, organic waste and food safety, agricultural technology, plant health and many more. 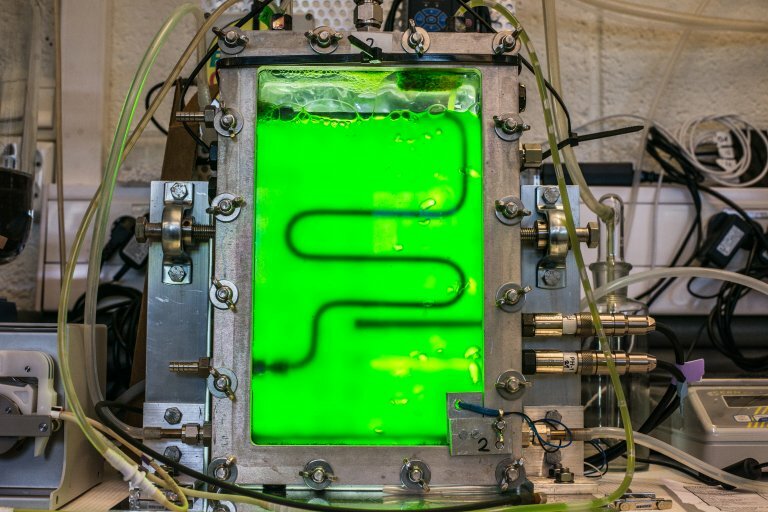 In connection with the biogas laboratory there is also a microalgae laboratory for the exploitation of microalgae, both for production of bioenergy in the form of hydrogen and for the production of other valuable materials by the use of stress biology and synthetic biology. The use of molecular biological methods for microbiological characterisation is an important part of this activity. Hoxmark is a farm in the western part of Ås municipality. The farm has since 1959 been run as a trial area for the former forestry institutes NISK, Skogforsk, Skog og Landskap, and is now used by NIBIO for research into genetics and plant breeding. The total area is ca. 20 ha, and in the farmyard there are five buildings and a greenhouse. The main building is rented to employees of NIBIO. The barn is equippd with a small workshop, a room for cone separation, and four garage spaces for vehicles. An old livestock house and stabbur are used for storage. The greenhouse was upgraded and a cold store of 20 m² was added in the 1990’s. The greenhouse is today used for cultivating plants by the section for Forest Genetics and Biodiversity. A large plastic hall is used for storage. There is close cooperation with the forestry research organisation Skogforsøksverket in the use of Hoxmark. NIBIO has building premises and land areas which are rented by the Centre for Climate Controlled Research at NMBU. Much of the rented premises are used for storage and garaging. In addition there are facilities for the pretreatment and washing of potato samples and plant samples, as well as a grain laboratory for sample preparation. Furthermore, the facilities for storage, handling and destruction of plant protection chemicals are located at Kirkejordet.